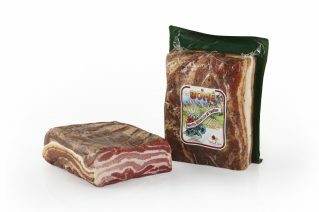 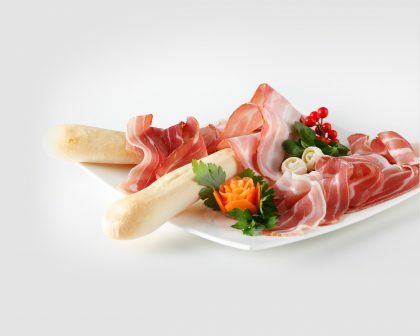 In the range of specialities of Bomè, we find various types of pancetta, decidedly delicate and refined, including unsmoked flat pancetta, pancetta smoked with natural smoke and juniper berries, and stewed pancetta produced with careful selection of the leanest parts, salted and seasoned and steamed. 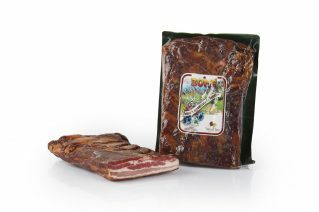 They are then smoked or stewed, depending on taste and on the final product desired. 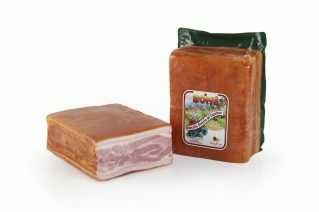 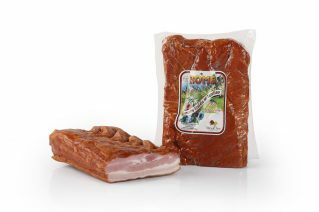 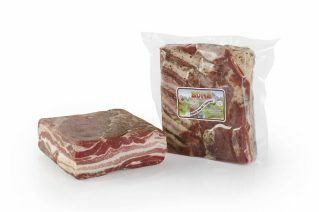 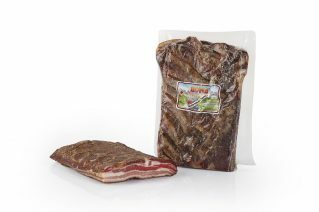 Smoked pancetta accompanies the best Italian dishes and is excellent for breakfast or lunch.